Fifa Group Standings After Round 1 is clear now. Round 1 of the group stages of the FIFA World Cup was wrapped up yesterday. It was an entertaining round 1 that over a period of six days gave us some of the biggest upsets. We bring you the updated groups at the end of the first stage of matches. 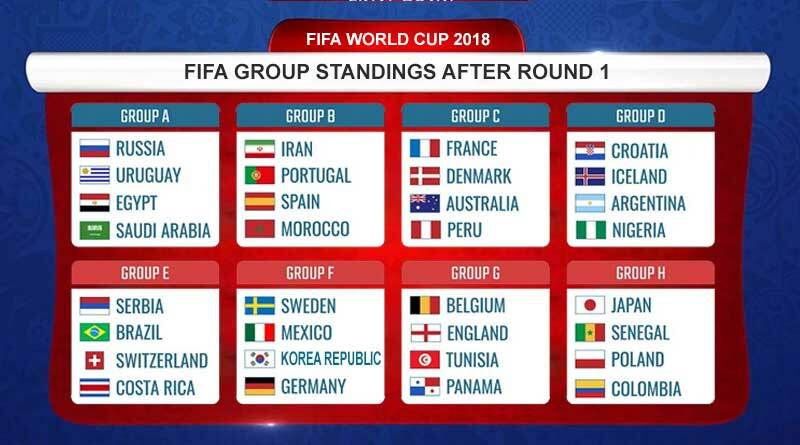 Do share your feedback on the Fifa Group Standings After Round 1.